Listen, I want you to be successful building an amazing website with the Thrive Themes products and my training courses will get you there! I want to GIVE YOU access to a course bonus below for FREE when you order Thrive Architect, Thrive Themes Membership, or any Thrive Themes product. EXCLUSIVE BONUS OFFER: Get my $199 course offer with new purchase. EXCLUSIVE BONUS OFFER: Get 1 page builder course & the essentials bundle $398. EXCLUSIVE BONUS OFFER: Get my $99 course offer with new signup. Learn how to build beautiful websites using Thrive Architect. 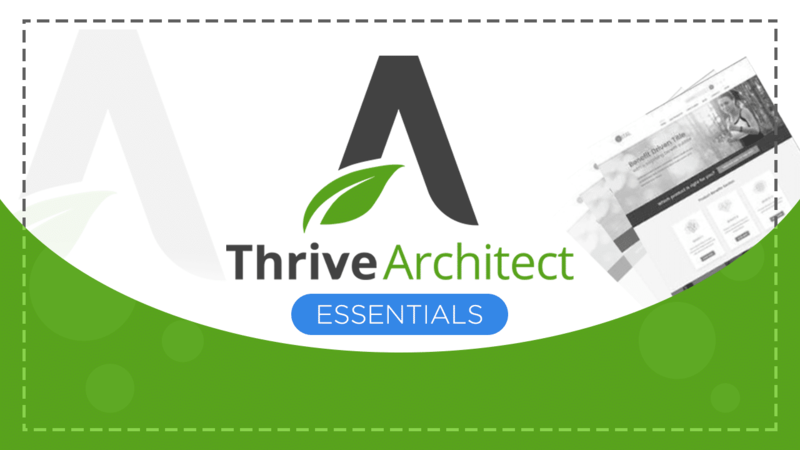 This course covers planning, design principals, and best practices using Thrive Architect.